In Vietnam, the average living area of a family of three is around 50 square meters. That means a centrally positioned sofa would be 25 meters from the front door, which is an easily reachable distance to pick something up. With that short distance in mind and considering the global rise in food deliveries that led us to wonder, besides the drop-off services offered by ride-hailing companies like Grab and Uber, what other digitally-enabled specialty delivery services were out there? Here are our three. 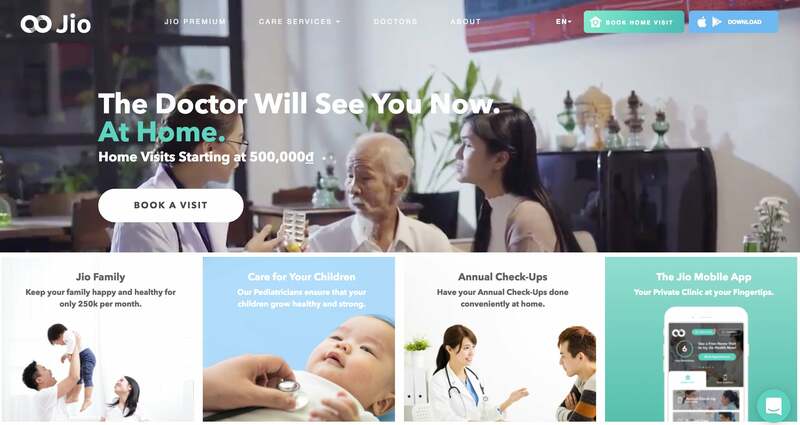 Jio Health’s innovative platform provides a comprehensive list of clinical services that includes health screenings, check-ups, chronic disease management, and, of course, consultations if you’re just not feeling that great that start at VND 500,000. Their “technology driven care” is supported by digital prescriptions and electronic medical records. Early adopters have also praised Jio Health’s “intuitive and exceptionally creative solution” for healthcare access. As digital is pervading almost every facet of our lives, it might be time to let it do the same to healthcare by downloading the Jio Health app. Fitfood may have found the perfect balance—healthy food that requires minimal effort to access. The company serve “a balanced diet specifically designed to help you maintain your weight.” That’s great news for the kitchen-shy who care about their calorie intake. 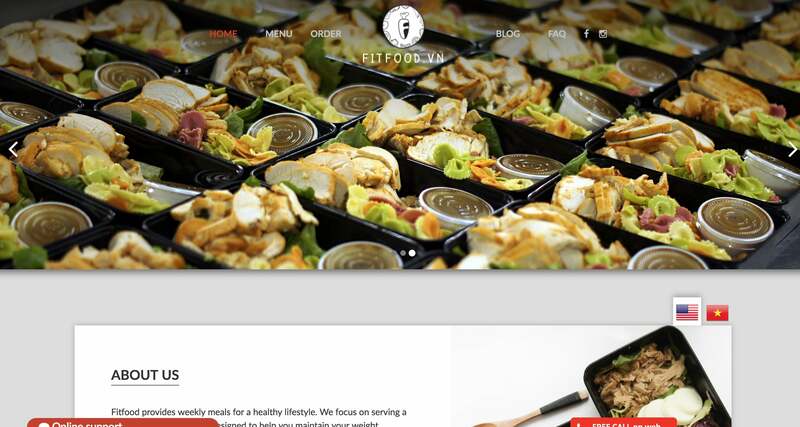 Fitfood are different to food delivery services because they don’t supply single meals. “We do high-quality calorie-counted meals in weekly plans,” their managing director, Kim Thai, tells us. The company serve up dishes designed by a five-star hotel chef with a no-MSG and low-sugar guarantee that promise never to repeat throughout a 45-day cycle. For breakfast from their all-fusion menu there’s Hong Kong egg meatloaf or mushroom and broccoli with couscous; for lunch chicken chickpea masala or fish fillet with pepper sauce; and for dinner spinach and mushroom stuffed chicken or grilled five-spice chicken. “We have more than 100 dishes on our menu now. My favorites are the veggie lasagne with thinly sliced zucchini instead of pasta, and the seaweed seafood salad to which our chef added his signature green parsley sauce. It’s really refreshing,” Kim adds. Weekly packages are also available in various options. The minimal fit package includes two meals a day for VND 550,000 per week, while the full package comes with three meals a day for VND 700,000 per week. Specialist menus are also offered and feature a meat lover’s package (VND 900,000) or a vegetarian-friendly package (VND 550,000). “We’ve had customers with us since we opened. That’s two years of eating with Fitfood,” Kim says proudly. It seems like a new sneaker store opens weekly. Ho Chi Minh City’s annual Sneaker Fest sells out. And one of our favorite southern sneaker stores, Inside the Box, just ventured north to Hanoi with a collaboration with Freakers at 28 Hang Thung. With so many of us saying “yes” to a new pair of Yeezy’s while navigating the city by motorbike, those high-priced kicks—like the Yeezy Boost “350s” (VND 13,000,000 from The Collectors’ at 150/32 Nguyen Trai)—are going to need a clean from time-to-time. Although they prefer you visit their spa at 18 Chau Thoi, District 10, Mr. Phui will pick up your kicks and return them in pristine condition three days later. “We see ourselves as pioneers of this kind of service,” An Dang, Mr. Phui’s marketing manager explains to us. “Others offer the same service, but we took it to another level with new techniques we picked up in Singapore and the US and equipment from places like Korea and Taiwan,” An says. “We do a careful check of any shoes we’re given to identify areas that require special care. And we have two packages—you can get the normal clean for VND 120,000, or pay VND 150,000 for the UV clean. The second one uses special equipment like UV lights to help remove bacteria,” An adds about the cleaning service that might return your tired old sneakers to their box-fresh beginnings.